The Random Event machine was supposed to give out avatars rarely, but something didn't go quite right and it was giving them out far more frequently than intended, including some that it shouldn't have been granting at all. It's been taken down for now while we work on it. Regarding your concerns, as you can see, there are two sides to the issue and we can sympathise with both. 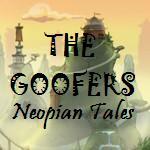 There are players who have worked extraordinarily hard to earn their avatars, and then there are others who come to the site and realise that (even with a huge amount of effort) some goals are impossible, which may discourage them from even trying to join the fun here in Neopia. We'd love to find a perfect balance between honouring our old players and welcoming new ones, but there's no perfect solution. That said, you've sent us plenty of feedback, which we are still reviewing and compiling for discussion. We'll keep your thoughts in mind while we look into the avatar Random Event and attempt to do our best on figuring out a balance. The Random Event that grants Lutari beads is currently unavailable for now. Inactive avatars cannot be used, so it's not exactly released in the traditional sense. Whether the avatar will be "officially" released in the future is still unknown. Oh, thanks for letting us know! Shoyrus should now be able to wear contacts under their stealthy masks! We know you told us not to say it, but uhh... it is retired. :X That's what the countdown clock was indicating. Random Events will still happen randomly. (Otherwise they wouldn't be Random Events, now would they?) Jacko will still be handing out paint brushes and the Pant Devil will continue to try to steal your pants and other items. This isn't something we were considering doing. We can toss the idea into the discussion, but we feel it is unlikely. Correct. Sometimes players may do things that irritate or downright enrage you (like charging a ton for quest items or converting UCs), but they are not breaking any rules. Only when someone is attempting to maliciously trick you does it become scamming and therefore punishable. "Whatcha reading?" a voice suddenly hissed in his ear. "Another one of your dumb detective stories?"